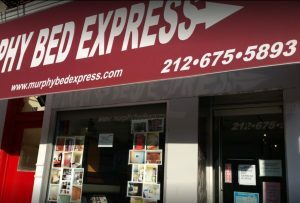 Murphy Bed EXPRESS, a leading Murphy bed company in NYC, was created by a Master Carpenter with over 30 years of experience in all types of Murphy bed systems and custom cabinetry. While Our design facility is located in the Historic Chelsea section of NYC, our manufacturing facilities are located in NY. Many people can benefit from wall beds in NYC. It is not only individuals living in New York City that are faced with problems of space, but homes across the United States. So many people are waiting to convert the lonely guest room into a useful computer room, home office, or hobby room and still have the ability to occupy a guest or family member from out of town. Owning a Murphy bed in NYC is the perfect solution to this problem. Being a quality Murphy bed supplier in NYC, we feel proud that we are in the business to make life simpler and more productive. Nothing makes us feel happier than to know that we are making a difference. If you have questions or need answers, please let us know. We would love to know your concerns, problems, and ideas, so that we can better serve you. Our designs have been focused more towards the appearance of fine furniture, rather than the build-into-the-closet setting. We know your space is as important to you as the room itself. The fact that the bed attaches to your wall with screws into your studs, actually gives you the convenience of moving the wall bed like a normal piece of furniture whenever your design needs change.